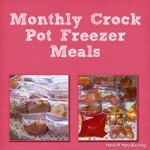 Welcome back to the third day of our monthly crock pot freezer meals planning series. 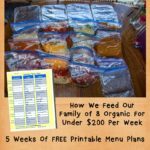 Yesterday I shared how to make your meal plans for monthly freezer cooking, today I am going to be sharing how I make my shopping list for a months worth of groceries for our family of 8. We do some things a little differently then most people probably do, which makes going to the store regularly a little less of a necessity. All of our poultry and certain fruits, veggies, organic flour/coffee and more are purchased from local farmers at our local farmers co-op monthly, we pick up fresh milk from a local dairy farmer weekly and get our pork and beef when monthly for freezer cooking, we raise our own free range chickens for almost a dozen fresh eggs daily. 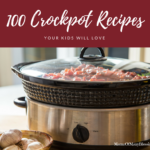 During the spring, summer, and beginning of fall we purchase all of our fruits and veggies from the farmers market and do lots of canning that gets us through the year. We make many of our foods from scratch and what we don’t we buy organic for almost everything. It has taken a couple years to get to the point where we are able to do it and know how to make everything on our own, but in the end it has helped improve our health greatly! To make the shopping lists I go over each of the dinner meals, lunches, breakfasts, and snacks I added on my monthly menu. 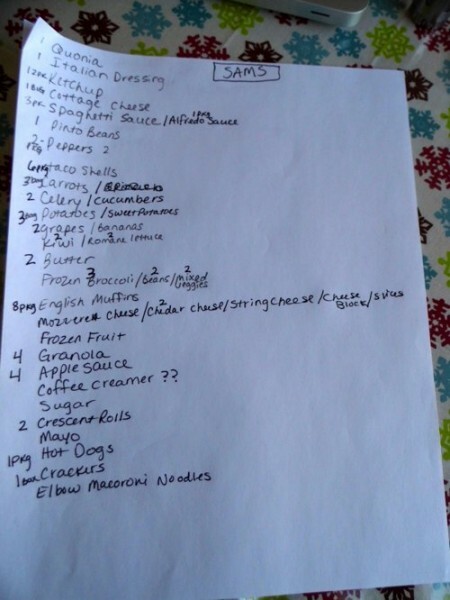 Then I add each of the items needed for the recipe to whatever store lists they need to be added to. I know what items are better to get in bulk and what items are just better to get from Walmart so that makes things pretty easy for me. 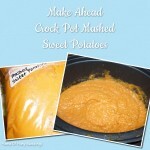 One thing to make sure you have added to your list if you do not have any are gallon size ziploc freezer bags and disposable pans. We use the disposable pans for meals that would be a disaster in bags, we learned this one from experience 😉 ! 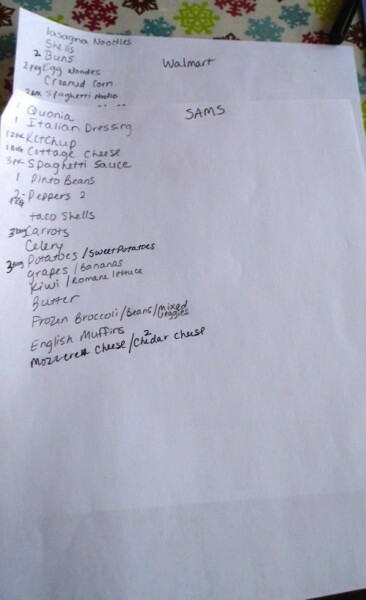 Here is a look at a Sam’s Club list this was a month that I didn’t need to get to many items. 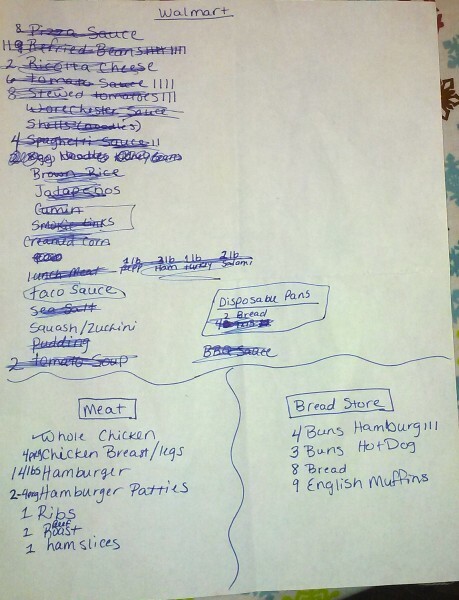 Here is a look at this months Walmart list, after I went shopping so things are crossed out. I decided that I would just add the meat and bread store items to the bottom of my Walmart list since there is always plenty of room. 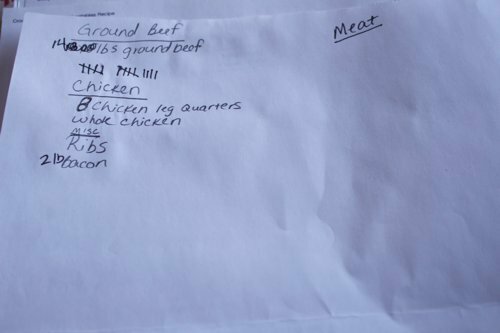 The first month I made separate meat and bread store lists and here is what the meat list looked like. 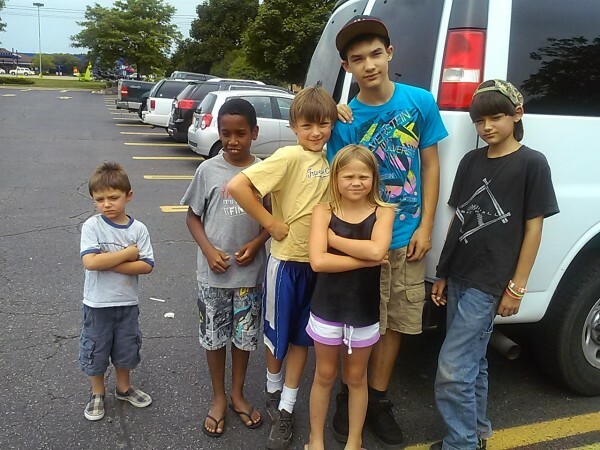 We usually bring kids with us to help load up and push the carts, often times there will be neighbor children that are with us as well. 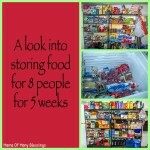 It is really quite funny to see the looks that people give us leaving with a months worth of food for 8 people, lol 😀 . I said that one of these times I am going to video record us checking out just to share the great stares we get 😉 ! 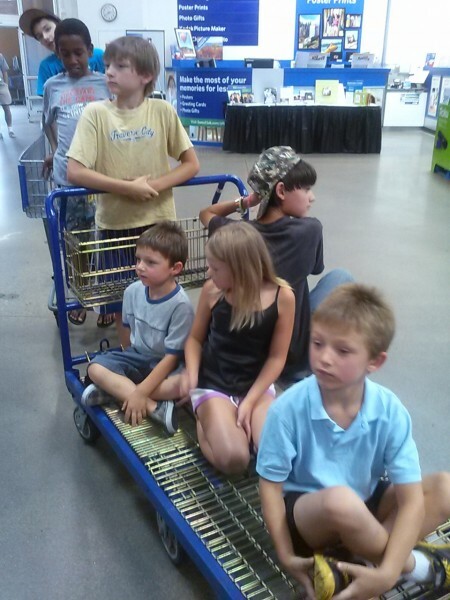 We usually fill up a flat bed and a regular cart with everything we get at Sam’s Club. Lots of helpers makes things easier, most of the time. Unless your oldest son and husband think it’s fun to toss the groceries to each other when checking out, only to realize there is a huge hole in the bag of powdered sugar and someone gets covered in powdered sugar. Oh yes, our shopping trips can be lots of fun 😉 ! We always take the back seat out of our big van so that everything fits in better. 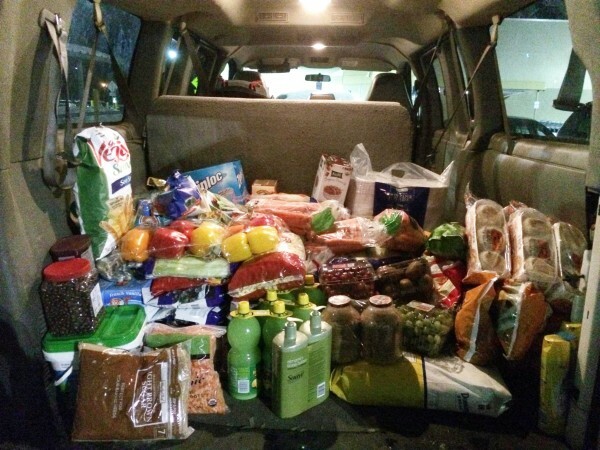 Here is a look at what everything looks like loaded up after one of our Sam’s Club trips. 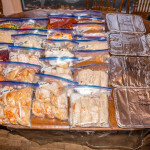 After we get home from our big Sam’s Club shopping me and Serena are on the back porch putting things away, the rest of the kids and hubby bring everything in the house, put things into the outside freezer for us, and flatten boxes. 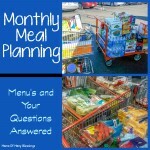 If you have any questions about monthly meal planning, shopping or anything else related please do so in the comments. On Friday I will be doing a Q&A post answering all of your questions. 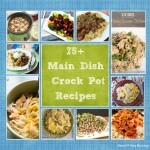 I am linking up with these great linky parties, stop over and check out other great ideas. Love this, such a great idea! Thanks for sharing on To Grandma’s House We Go! I am a huge fan of lists, this is great! Thank you for sharing at Party In Your PJs! Great planning! Thanks for sharing at Home Sweet Home! 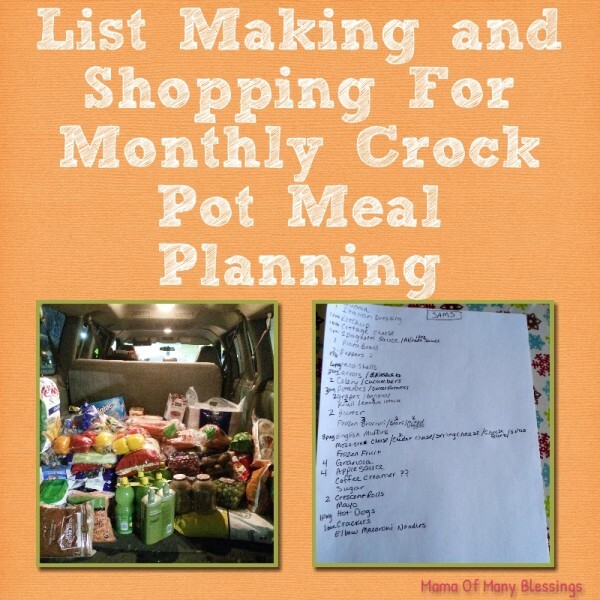 I am a planner and list maker, I would never get anything done without it. This is quiet a list and a big shopping trip! Hope you are having a great week and thanks so much for sharing your awesome post with us at Full Plate Thursday! 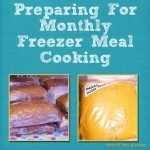 This is going to help someone soon, I can tell! 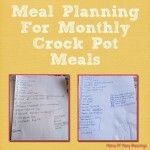 Crockpot Meal Planning sounds like a good plan to go with! Thanks for sharing at Lets Party @ The Mark and Jan Show aka Blurred Living!